Malaria is one of the most common infectious diseases and an enormous public health problem. Each year it causes disease in approximately 650 million people and kills between 1 and 3 million, most of them young children in Sub-Saharan Africa. 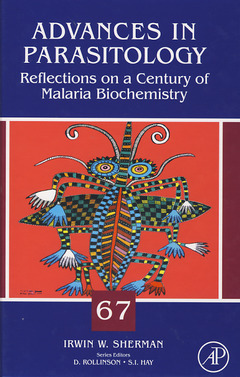 This book provides an overview of the research that has been done in malaria biochemistry in the quest to find a cure. It discusses how our understanding has helped us to develop better diagnostics and novel chemotherapies. Researchers will find having all of this information in one volume, annotated with personal reflections from a leader in the field, invaluable given the big push being made on various fronts to use the latest drug discovery tools to attack malaria and other developing country diseases.